Evernote is a great note-taking app that allows you to take a note on one device and access it on another device you have (free users are limited to two devices). Evernote is a great tool to record ideas that often come without you invite them, regardless of the place. 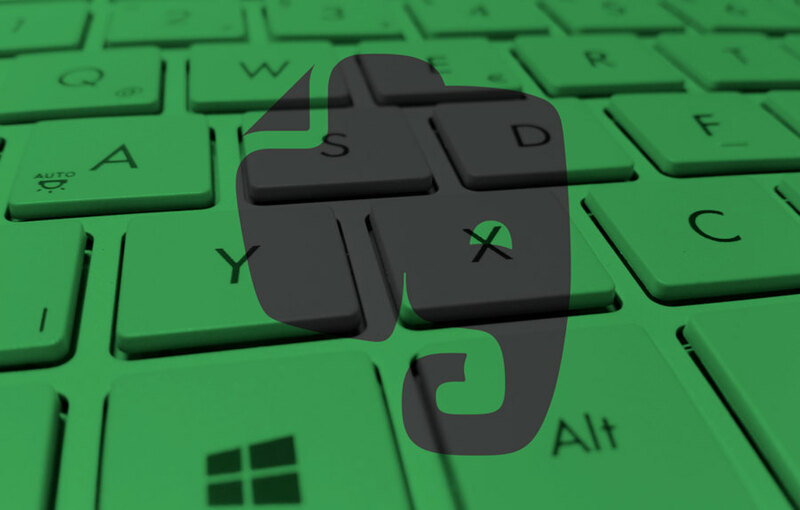 You can install Evernote on some devices you have, including Windows based PC/laptop. Evernote for Windows comes with a bunch of keyboard shortcuts. You can use them to boost productivity when working. But, where you can see the list of those shortcuts? That’s why this article is written. You can download the PDF cheat sheet below that collected the 56 most handy shortcuts of Evernote for Windows. Evernote for Windows itself is available for free. You can install it on Windows 7 and the newer versions (Windows 8, Windows 8.1 and Windows 10). You can download the binary file of Evernote for Windows on its official site. Or, if you use Windows 10 you can also install Evernote via Microsoft Store.